Sip your favorite wines with this unique tasting set. Use the included chalk to write each wine’s name. We’ll engrave each glass in the set with an uppercase letter for no extra cost. Channel your inner sommelier with the Personalized Bamboo & Slate Wine Tasting Flight. You will be the hostess with the mostest, as you display a fine Chardonnay, Pinot Noir, Merlot, or Riesling in four miniature wine carafes. 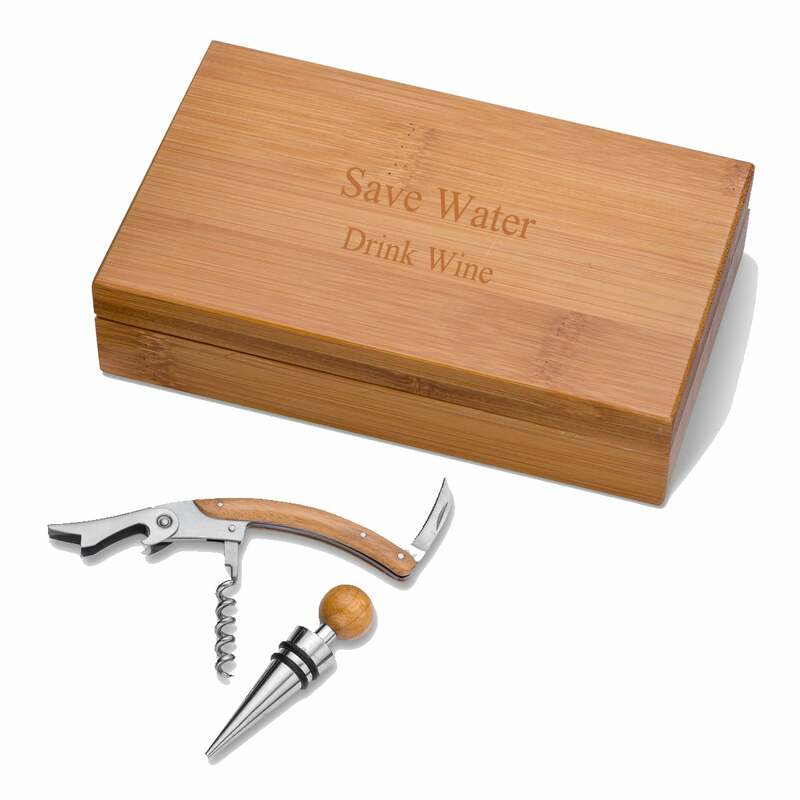 The natural bamboo serving board has four indents for glass placement to prevent spills, and each set comes with a piece of white chalk, for identifying your array of vino. We will also personalize each glass with a block initial for no additional cost; you can spell out a word (like WINE) or opt to have the same initial on each glass. The tasting flight also makes for an awesome gift for your favorite wine aficionado! Set includes bamboo & slate tasting board, (4) glasses & (1) piece of white chalk. Wine glasses measure 2.25" W (at base) x 4.69" H x 2.5" diameter, hold 6.5oz. each. Glasses are dish washer safe.